Fun Health Adventures: Spring Cleaning! This time of the year gets me so excited! I love to see the trees, bushes, and flowers coming alive. And I love to do some major spring cleaning. It's as if I've let my life go and now it just needs to be gone through and sorted out. 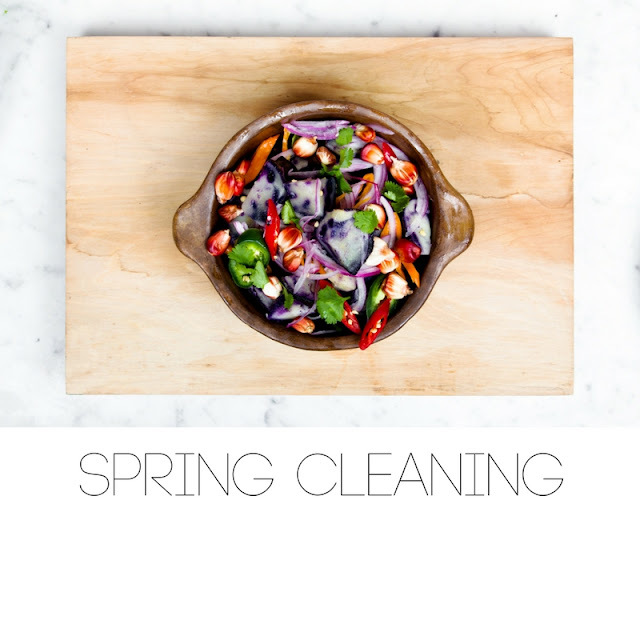 Well, have you ever thought about spring cleaning your body? This hasn't really ever crossed my mind until recently. I've been dealing with some health issues that I just wish would go away so I've been doing some spring cleaning. I've given up things like peanuts, eggs, sugar, dairy, some meats, grains - you name it - at one point I've probably gone with out it. I'm working on dialing in on what my body is telling me and I'm trying to listen. I'm trying to be nice to myself - and it is hard! But I have noticed that when I do take better care of myself I am happier! I recently read this article here and there are some great ideas on how to spring clean your body. I've been working out in the yard more (who knew that was good for your health! ), we've brought plants in our home and I've even tried meditating! We're constantly trying to make better food choices too! Than in and of itself is a full-time job! Especially with 7 people under one roof. But I am so thankful to be on this health journey. I've come to realize that the more I learn about health, the more there is to learn! It is never ending and there is always something that will help me (and you) to kick it up a notch! So there you go! What are you going to do to spring clean your body!